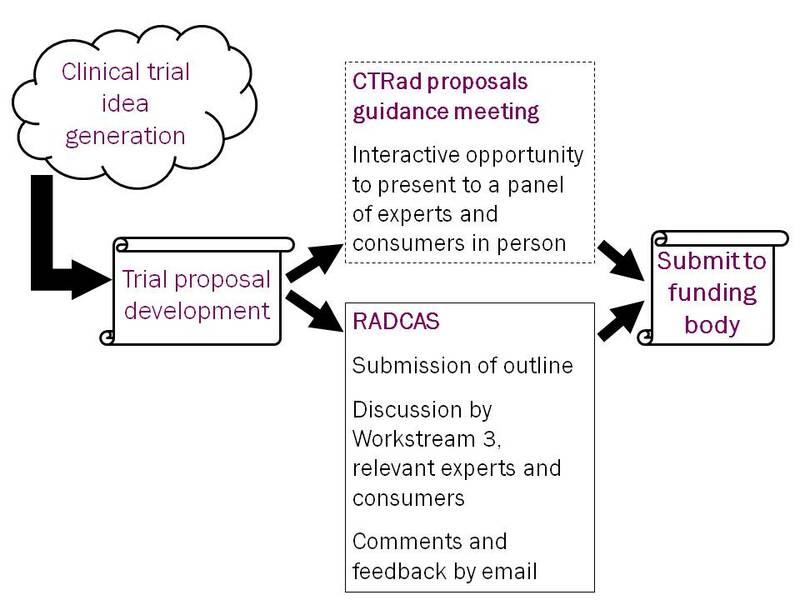 CTRad’s Workstream 3 has developed a process by which all new UK radiotherapy clinical trial proposals have access to a ‘Radiotherapy Clinical Trials Advisory Service’ (RADCAS) before submission to a funding body. Investigators can approach the RADCAS team about any trial proposal in which radiotherapy is a significant component, to receive specialist advice on trial methodology, technical aspects of radiotherapy delivery, and biomarkers and translational research opportunities. RADCAS may be relevant to early phase as well as Phase III trials. This service is available at any time of the year, and supplements the opportunities for researchers to present and engage in interactive discussion at CTRad’s twice-yearly proposals guidance meetings. You can download a guide below to find out more about this service, together with resources and contact for advice on different processes. If you want to use the RADCAS service, please contact the NCRI CTRad Team.